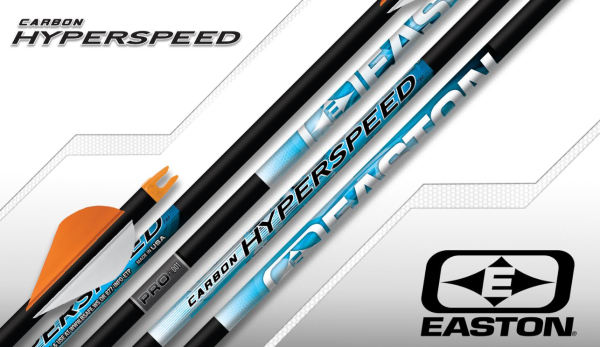 Easton introduces all new Hyperspeed and Hyperspeed Pro arrows. New Hyperspeed and Hyperspeed Pro are all-around performers for target, 3D, and hunting. The Hyperspeeds are an ultra lightweight 6.5MM shafts combine all-out speed with the unmatched accuracy of Easton’s Made-in-USA Carbon technology. The Hyperspeed is available in the most popular performance spine sizes ranging from 300 to 500. The Hyperspeed Pro version is offered in a precision, one-thousandth tolerance straightness and is available only through storefront, full service authorized Easton dealers. For more information on the Easton Hyperspeed and Hyperspeed Pro arrows, please visit www.eastonarchery.com.